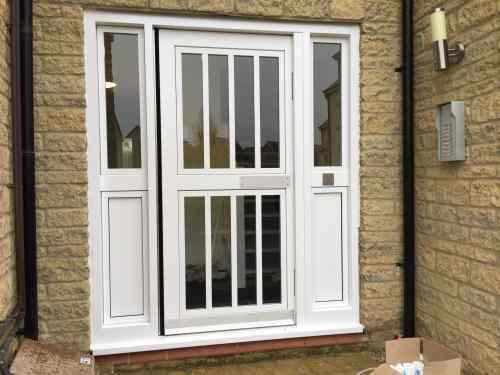 Door Entry Systems in South UK. Compass Security Systems. Compass Security Systems are one of the leading suppliers and installers of door access control and door entry systems. Established in 1985, we have a proven track record of installations in residential and commercial properties. 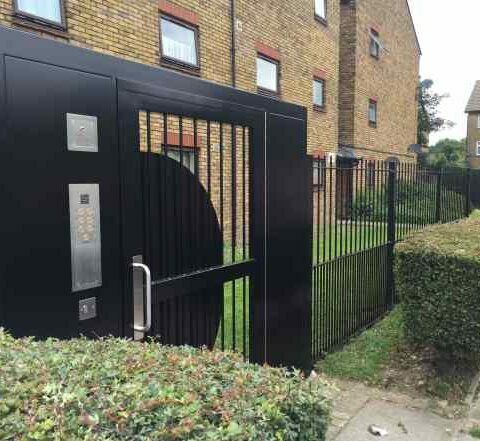 Our systems are extensively specified by Local Authorities and housing associations. They provide a proven and unique combination of sophisticated electronics and anti-vandal features at a competitive price. The telephone handsets and video monitors are totally compatible in design so as to standardise all systems for ease of spares and installation. They incorporate such features as privacy and door monitoring indicators, privacy and door release buttons with a Concierge facility if required. Telephone/monitor functions include individual apartment privacy times, four individual ring volumes and two wires to a flashing strobe for the ‘Hard of Hearing’. All these functions are programmable at the controller. The telephone/monitor also has full privacy of speech and will only release a door when answered. There is also a built-in safety feature on all Select handsets called progressive ring tone which indicates that a telephone/monitor is ‘off the hook’ and a visitor is calling. 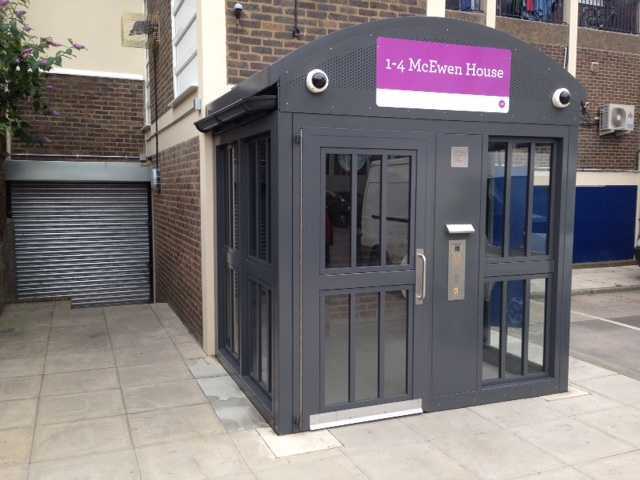 Our Door entry systems can be designed to be used in buildings with up to 8 Main Digital Entry panels with up to 2 pushbutton/functional landing control panels per controller and up to 9999 dwellings. Features include privacy, door monitoring, door open, busy and lock release tones and many more facilities, adjustable on the System Controller. Meeting full DDA requirements where required. Fully electronic isolation. A problem with a handset in one flat will not effect the operation of the rest of the system e.g damaged cable/handset or handset left off the hook. Each controller can manage up to 16 flats. Individual apartment privacy times, four individual ring volumes and two wires to a flashing Strobe for the ’Hard of Hearing’. Tradesman facility with GMT/BST automatic switching for the time clock. Battery back option as standard.